Keeping your long hair healthy and good-looking can be a challenging task, which is why many women decide to cut it short. It’s such a shame, since there are so many gorgeous styles you can rock with long hair. But you shouldn’t despair – there are also plenty of ways to protect your hair, regardless of its length! Here are just some of the styles that will keep it healthy and supple. 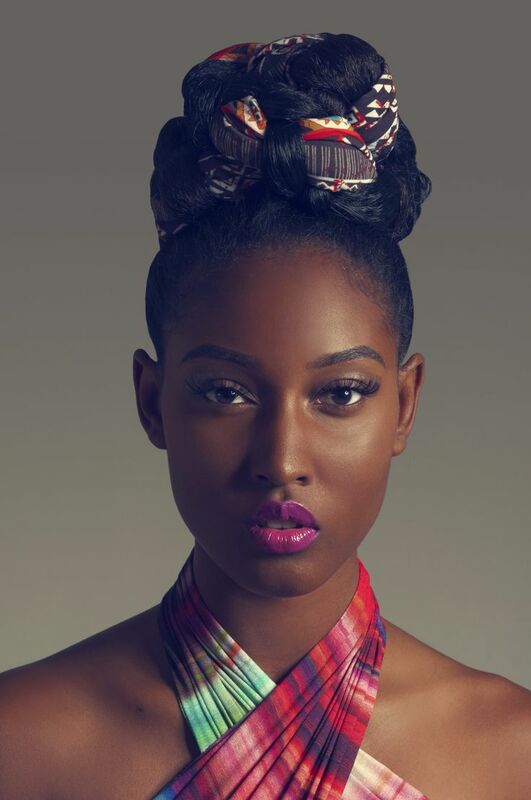 Donut buns are among the most loved hairstyles, regardless of the type of hair. Since they look polished, but also cute, women wear them on all sorts of occasions, including both formal affairs and everyday situations. So if you’re looking for a safe solution, go with this lovely hairstyle. 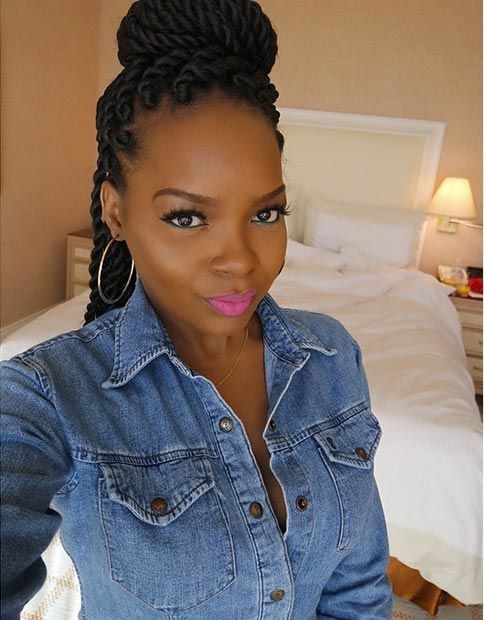 Braids are probably the best protective hairstyle, and luckily for you, they come in so many different variants that you’ll never get bored. This particular style has been done by making neat braids and arranging them into a lovely half updo. It’s something you could wear on almost every occasion. If you’re looking for a more creative way to do your hair than a classic bun, this hairstyle might be the perfect choice! The hair has been tied into two lovely buns, one on each side of the head, and although they look rather messy, they will protect the ends of your hair and keep it supple. This hairstyle is not only gorgeous, but also very efficient when it comes to protecting your hair. The hair has been neatly arranged into a single French braid, with all the ends tucked away. It’s also a great style for a night out with your friends! If you’re looking for an updo that will spice up your look, this one might do the trick! The hair has been wrapped in a colorful scarf, and tied into an interesting bun. It makes for a great summer look, don’t you think? 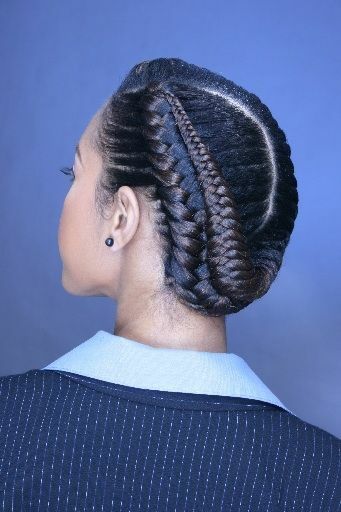 As another way to braid your hair, this style provides both protection and a lovely appearance. The braids are quite thick, which makes them a great choice for accomplishing a more youthful look, but the neat arrangement makes them wearable for women of all ages. 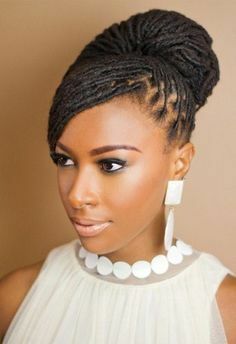 The extra thin braids give this hairstyle a dash of elegance, but the way they have been styled makes it perfect for those looking for something out of the ordinary. 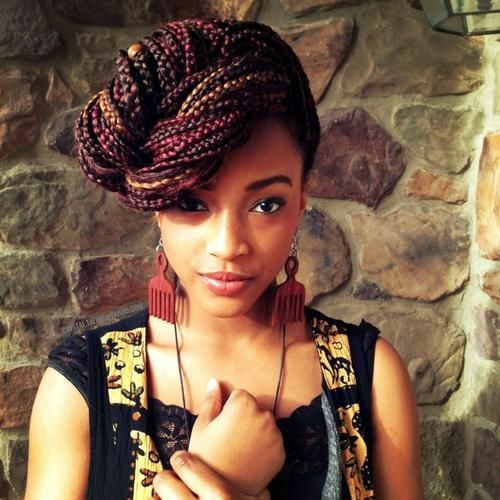 If you like this look, simply braid your hair to the side, and enjoy the results! 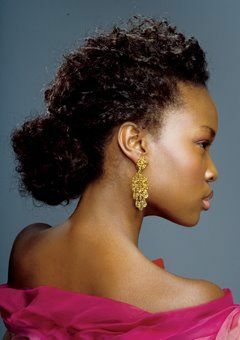 Low buns are some of the simplest hairstyles you can choose, but they can also appear very elegant. 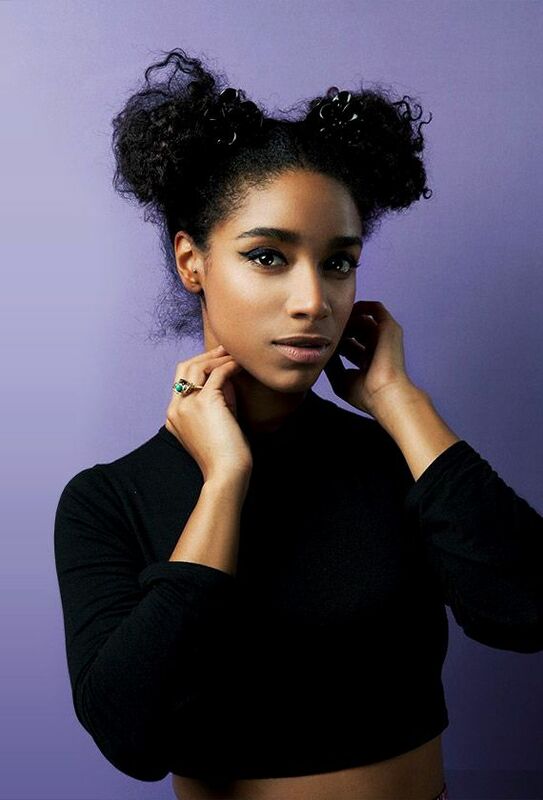 Combined with frizzy hair, this hairstyle looks both unique and appropriate for many different occasions. 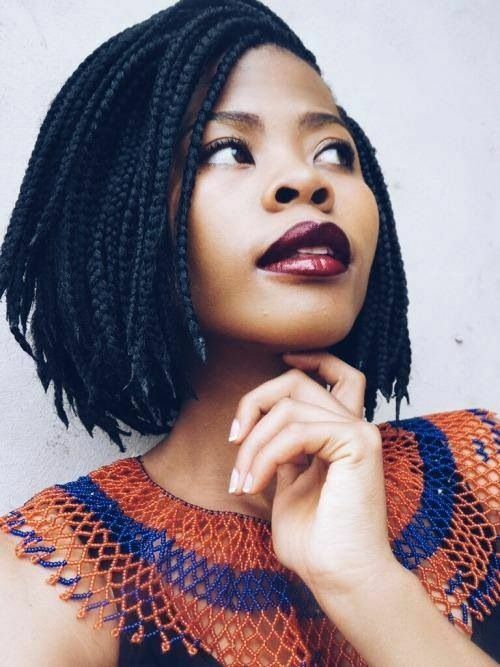 For those with medium-length hair, simple twists are an excellent choice. The way the hair has been styled keeps it protected, but not so it looks over polished. It’s a great solution for those looking for something they can wear every day. 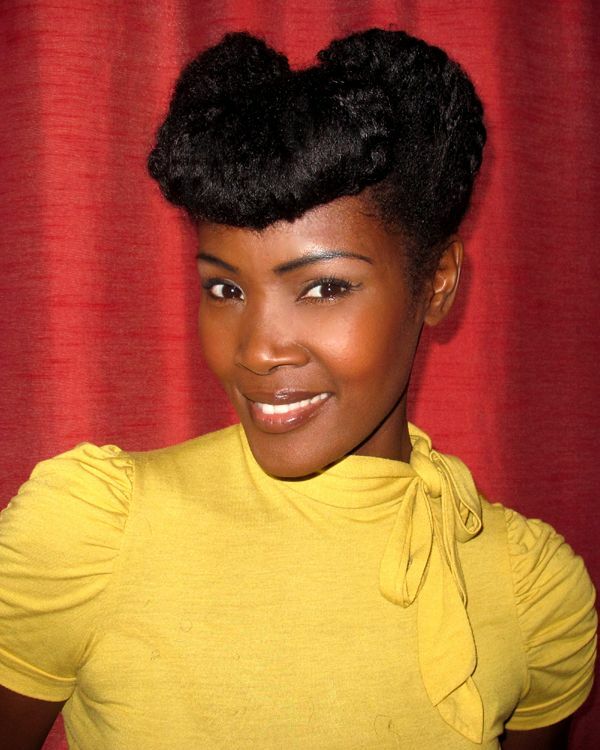 Vintage hairstyles are experiencing a great comeback, which makes this one stylish as well. The hair has been arranged into a lovely French roll that will at the same time keep your hair strong and make you look amazing! It’s the perfect choice if you’re looking for a special occasion hairstyle. As classic vintage updos are becoming stylish, so are their modern variants. 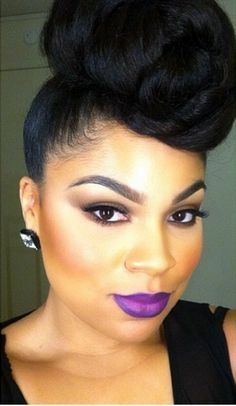 This particular hairstyle is a bold take on the way women wore their hair in the 1940’s, and combined with the gorgeous purple lipstick, it makes for a great choice for women who are looking for something unique. 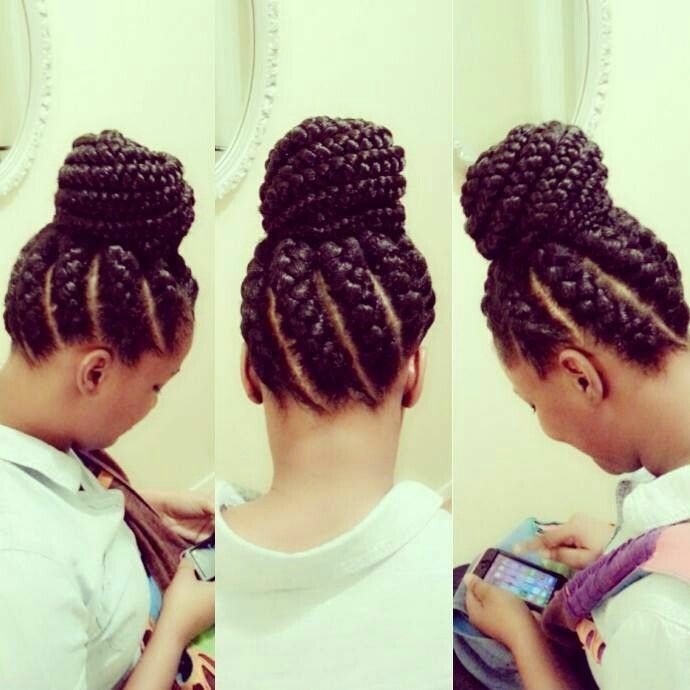 If you have long and thick braids, you might consider arranging them into a big high bun. This hairstyle is very charming, and can be worn by both younger and older women. 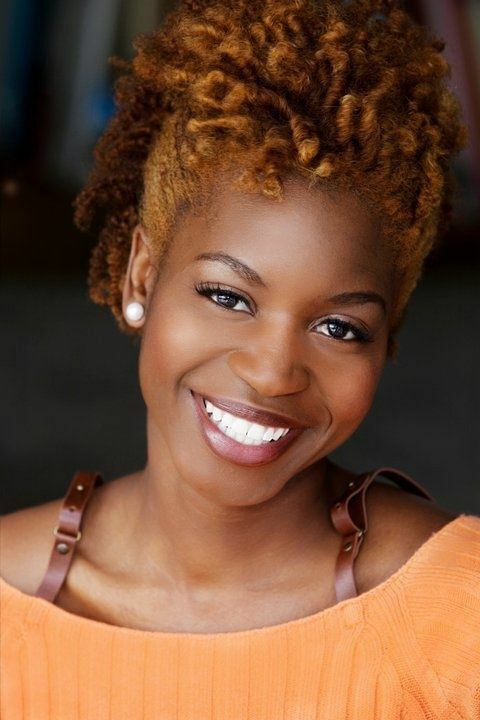 And as far as protective hairstyles go, it can’t get any better than this! For a more sophisticated look, try doing a high and voluminous bun, and wrapping it with a single neat-looking braid. This should keep all the ends protected, and serve as a great hairstyle for formal occasions. The fact that it’s very simple just makes it better. 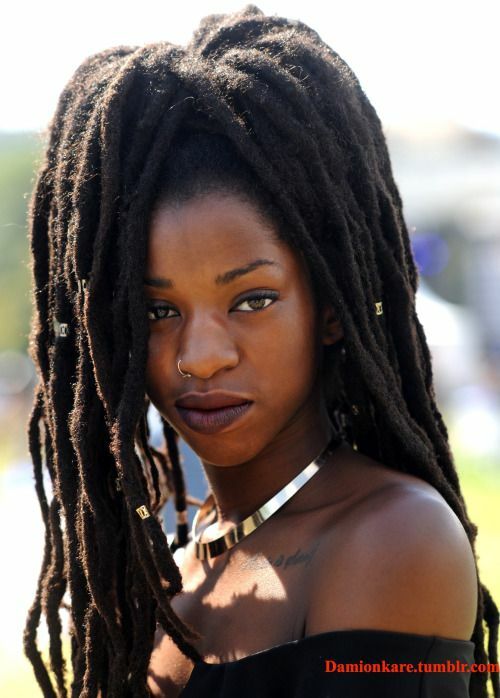 Dreadlocks are a great choice for protecting you hair, especially if it’s extra long. 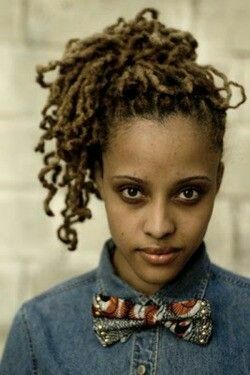 But so are twists, and arranging them in a Bob Marley style can result in a very youthful and lovely look. You can also decorate them with rings and other jewelry, to make the hairstyle extra special. 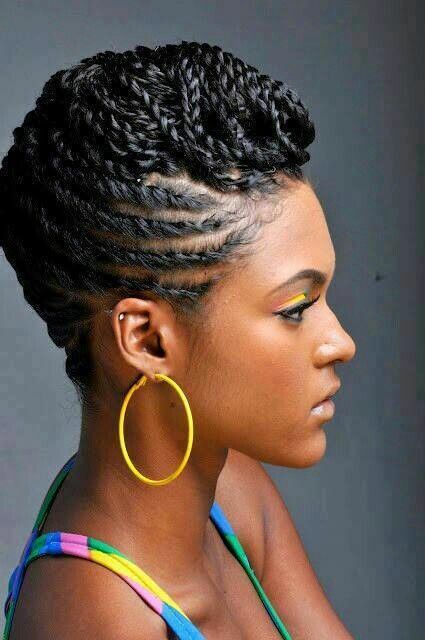 To keep your ends safely tucked away and to prevent your hair from getting damaged, you can also opt for cornrows. 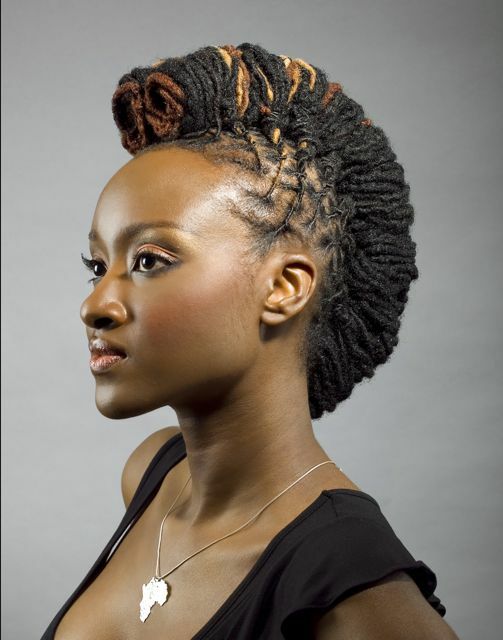 Although they can be lovely by themselves, many women choose to arrange them into intricate hairstyles. This is just one of the many different variants you can try out. 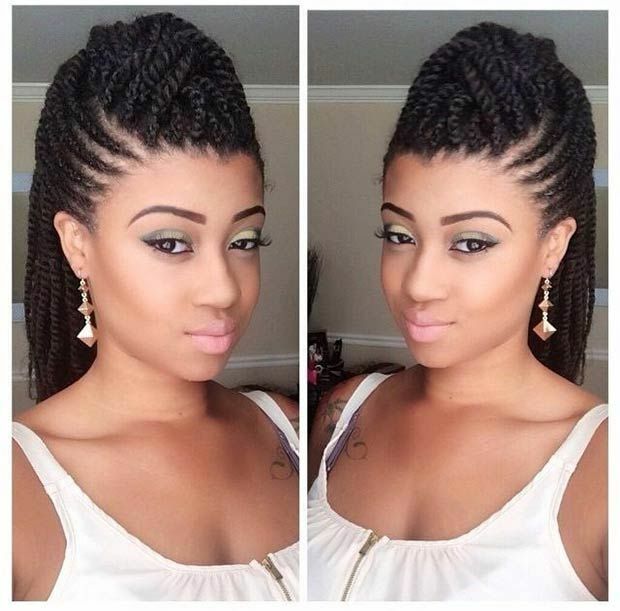 Twists don’t have to be boring, and this hairstyle only goes to prove it. To create it, start by doing the twists, and after that’s done, simply braid one side of your hair into a big braid. It will be a great look for both lazy Sundays and hectic Saturday nights! This updo will knock all your girlfriends off their feet! The hair has been arranged into an intricate front bun, and wrapped with rather thin braids to make it look especially glamorous. It’s the ideal choice for any of your upcoming formal events. Another vintage hairstyle, this French roll might just be what you’ve been looking for! The hair has been lifted up and arranged into a neat roll, keeping all the ends properly protected. Apart from being great for special occasions, this look can be worn on a daily basis as well. If a simple French roll is not good enough for you, there are plenty of variants that might interest you more. Just one of the many ways you can wear it is by combining it with neat cornrows. The combination makes for a daring and unique look that you’ll surely love! 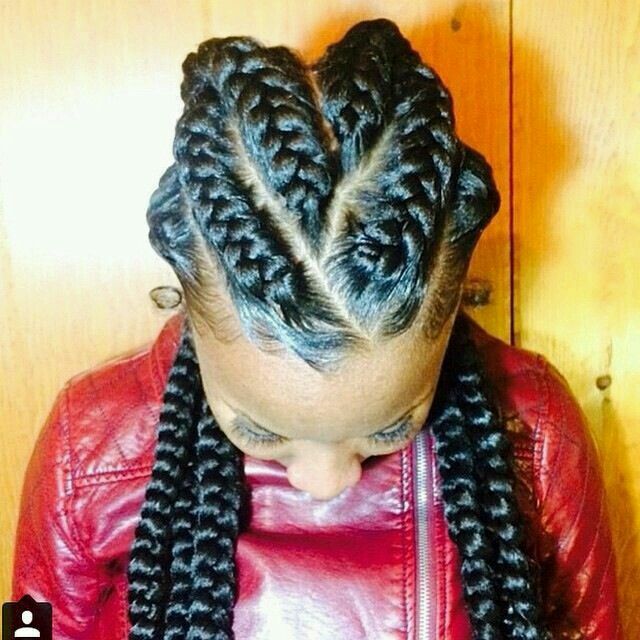 This is another way you can freshen up your cornrows without risking your hair getting damaged. The cornrows have been neatly arranged on each side of the head, and finished with a daring Mohawk. It’s a great choice for all the women who are looking for something to spice up their style. 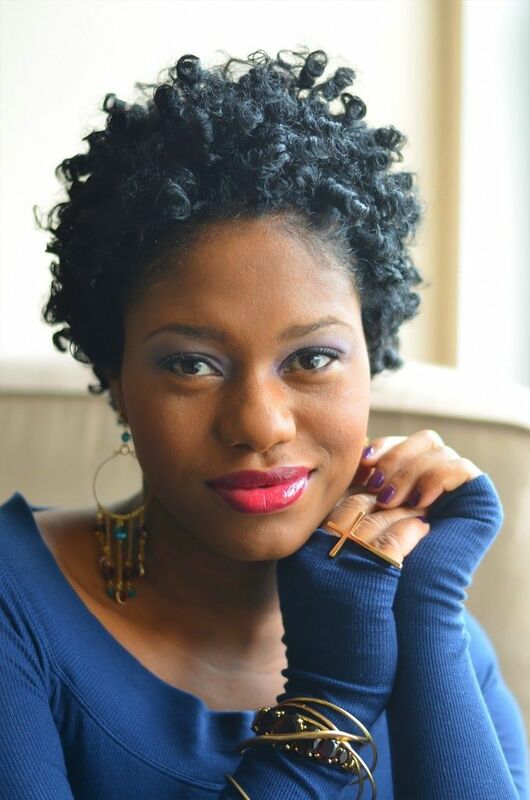 There are plenty of ways to protect short hair, but finger coils is one of the more popular ones, and for a good reason. 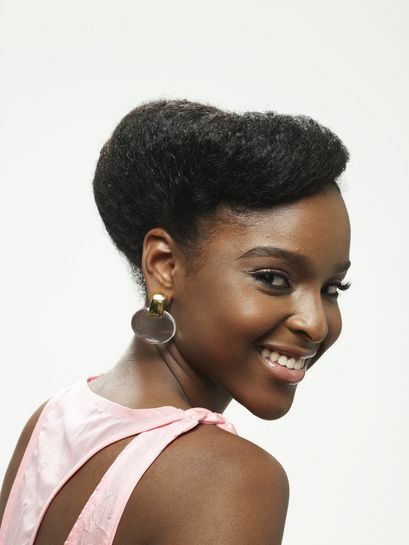 This hairstyle will make your hair look voluminous, and still keep the ends supple. 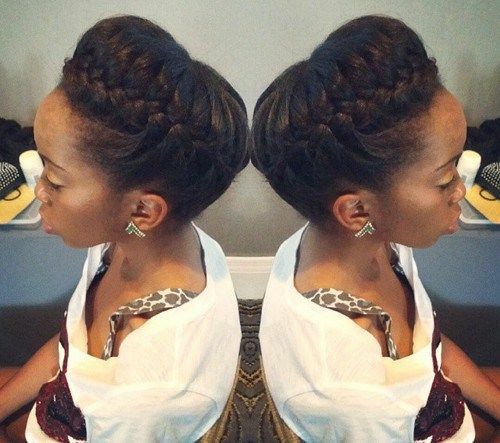 Braiding your hair will keep it strong and supple, especially if all the ends are carefully tucked away. This is just what this hairstyle does, but that’s not all there is to it. 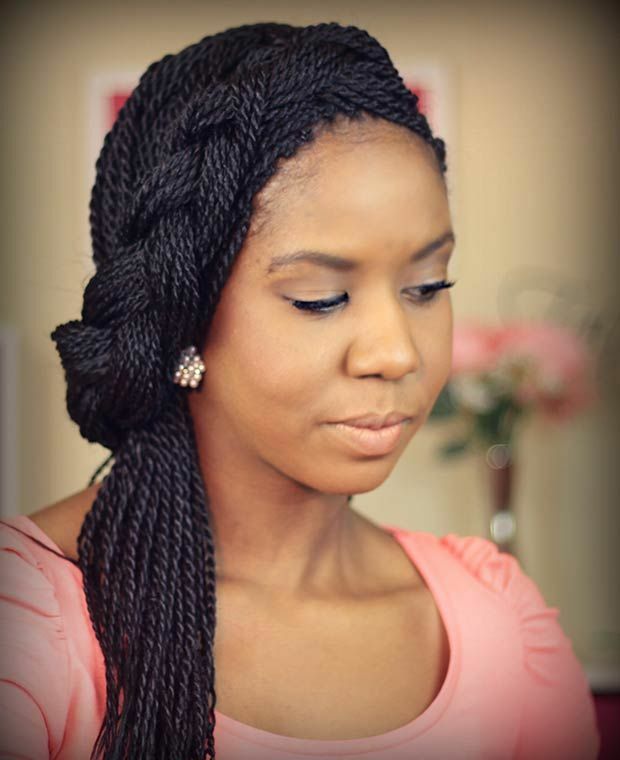 A goddess braid can make you look simply amazing, and it’s so simple that anyone could do it! 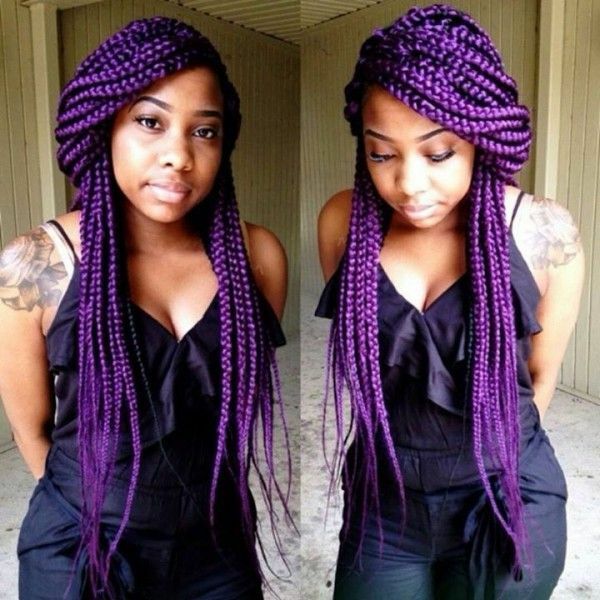 On the other hand, if you’re getting tired of goddess braids, you might want to spice them up a bit. Finishing the braid with a simple coil will surely do the trick, especially since it makes for such a unique look. 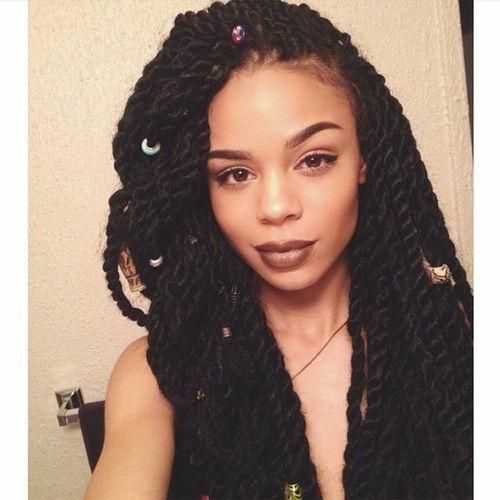 A low goddess braid can also be a great way to make some changes. This hairstyle is just lovely, as well as appropriate for almost any occasion. Since there are no ends sticking out, it will also do a great job of protecting your hair. For those who are not afraid to experiment with their hair, getting an undercut can be a great idea. If you want to protect the rest of your hair from getting damaged, simply arrange it into a polished or a messy high bun. Combining your short hair with a daring undercut can be a great way to express your personality. To protect the ends of your hair, however, it would be best to finish the hairstyle with cute finger coils. This look is great because it can be worn during both formal events and everyday activities. Braided hair is great for protecting your hair, but it can get a little boring, especially if you’ve worn if for some time. Apart from arranging it into interesting buns, you can also spice it up by highlighting the hair. The result will surely knock you off your feet! Mohawks are not just good-looking – they can also be the ideal way of protecting your hair, provided that the hairstyle is done properly. If you want to make it even more unique, you can always combine your Mohawk with some highlights. Here we have highlights in earth tones, which are great combined with dark skin. 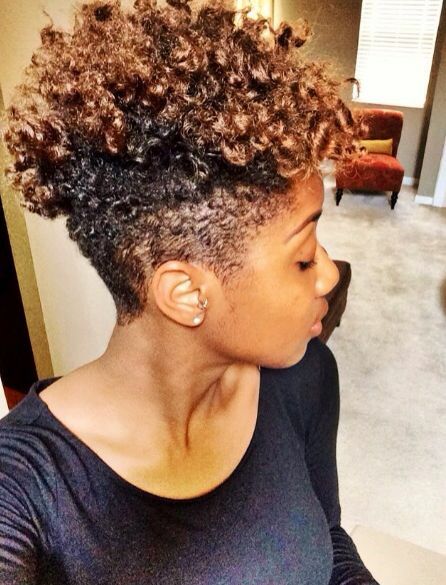 This hairstyle looks simply gorgeous, but also like it’s a lot of work. Luckily for you, it’s just dreadlocks twisted and arranged into an intricate pattern. 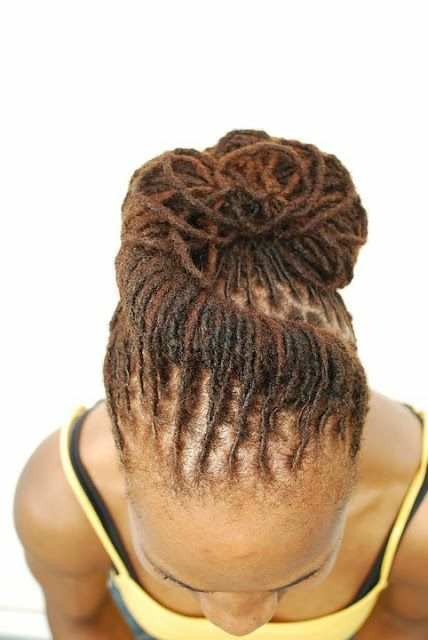 To make your dreadlocks even more beautiful, as well as capable of properly protecting your hair, arrange them into this interesting twisting bun. 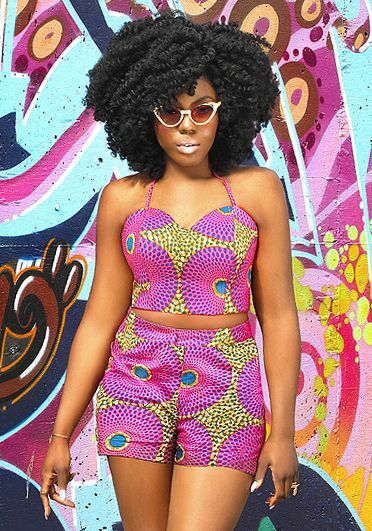 The style is great for young women looking to express themselves through the way they wear their hair. This gorgeous hairstyle is both modern and vintage-looking. It’s basically dreadlocks tied in a neat top knot, but it looks much more complicated than that, right? What makes it even better is the fact that it’s suitable for almost any occasion. As another urban take on the classic hairstyles, this variant of the French roll is surely worth a try! The hair has been braided into medium-thick braids, and arranged into a chic updo. 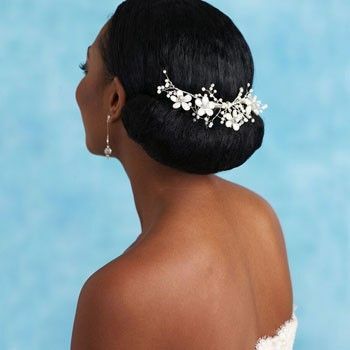 It might just be that special occasion hairstyle you’ve been looking for! 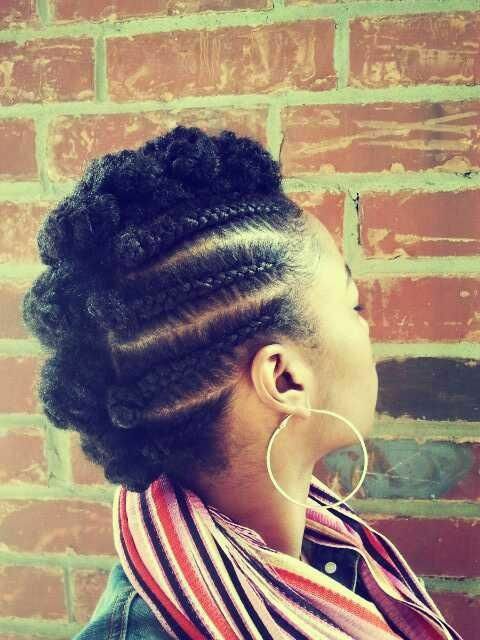 Extra thick twists can be amazing, but also very practical when it comes to maintenance. They will keep your hair looking shiny and supple, since all your ends will be tucked away. To make them look even better, lift half of your hair up and arrange it into this lovely half updo. 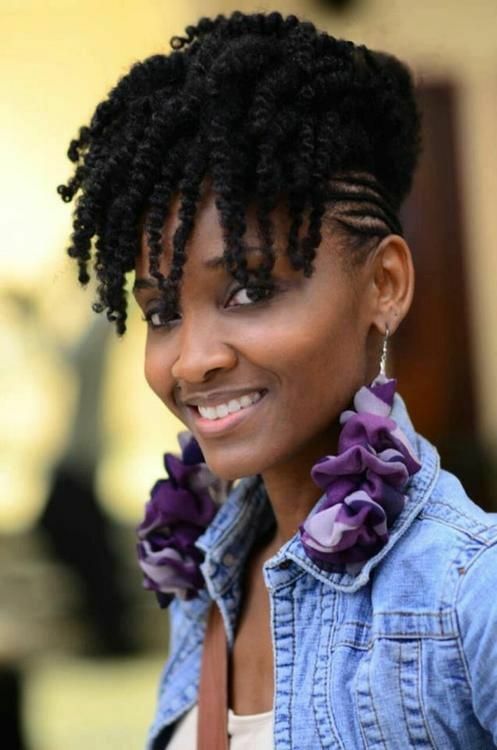 This hairstyle combines two things that are amazing when it comes to protecting the ends of your hair: braids and coils. To create it, start by braiding the hair on the back of your head and pushing it to the front of your face. Coil the “bangs” and voila! You’ve got yourself a brand new look. 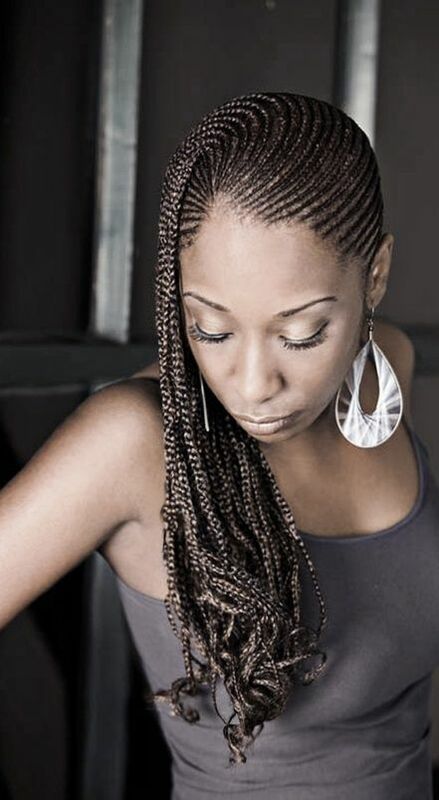 Box braid extensions are not just good for keeping your hair protected, but also for experimenting with hair color without risking a complete disaster. They’re also very easy to use, and can be bought in many different colors. So if you’ve always wanted to die your hair white, but never had the courage to do it, here is your answer! 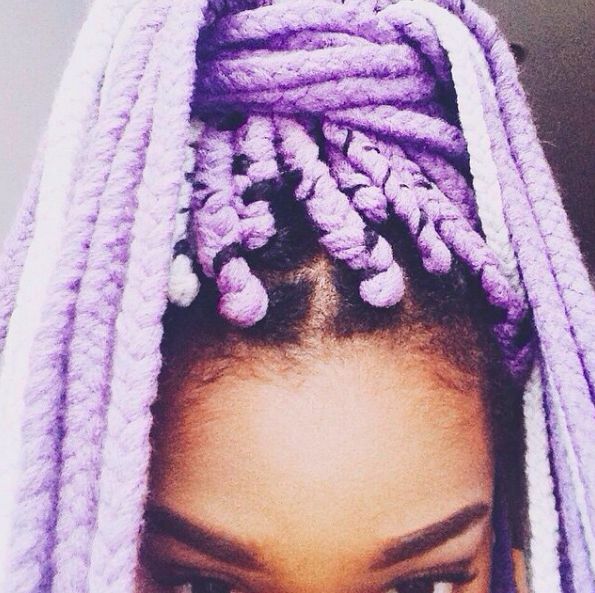 Doing a thick braid on each side of your head can turn out to be an amazing look! If you put a little more effort into the process and braid the top of your head into thin little braids, it can look even more beautiful. Apart from being lovely, this hairstyle will also protect your hair if you make sure you’ve safely tucked away all the ends. 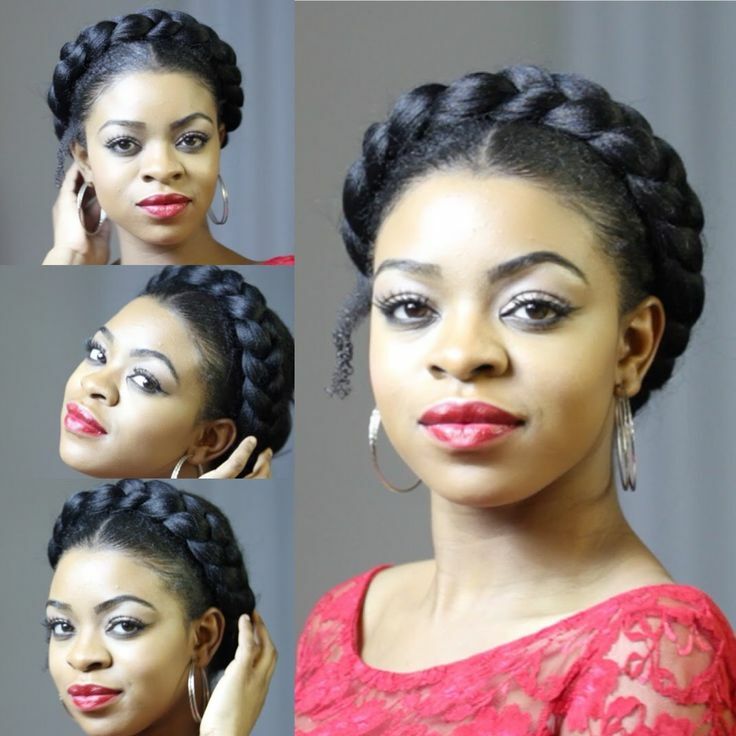 Braids don’t have to be done in layers of equal lengths, as you can see from this interesting braided bob. The hairstyle is great for women who like classic looks for straight hair, but don’t want to risk getting their hair damaged. It’s also the perfect choice for both younger and older women. Who said super long hair can’t be properly protected? If you have hair that’s reaching under your waist, you know how hard it can be to maintain it. 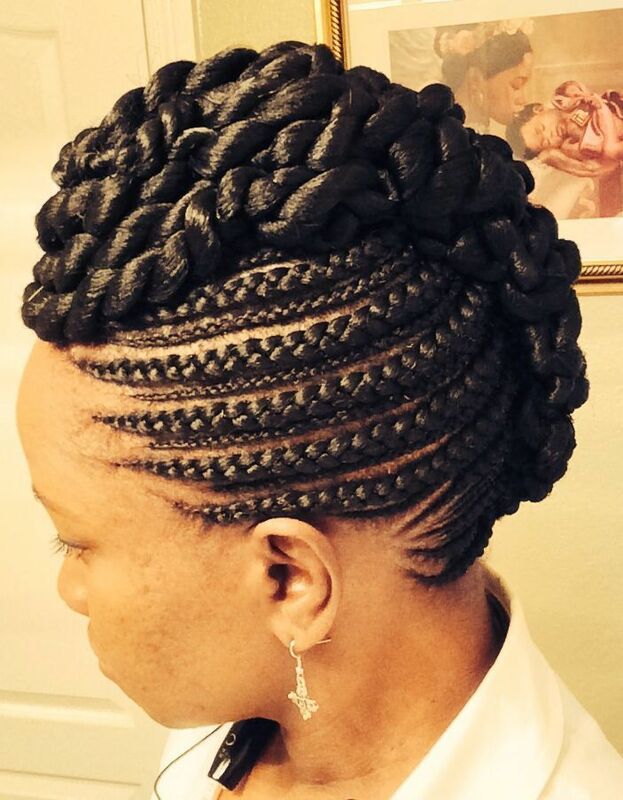 However, simple box braiding can do the trick and keep all your ends both strong and supple. 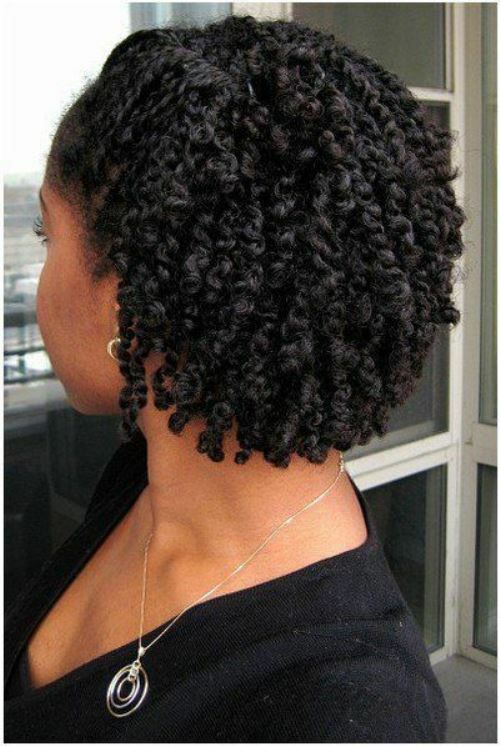 Finger coils can be a great way of achieving a retro look, especially if they’ve been made thicker. This short hairstyle adds volume to your hair without making it exposed to damage. It’s also very good-looking and can be worn on almost any occasion. Chignon is one of the classic ways to do your hair, and for a good reason. Apart from being very simple, it’s also the ideal protective updo, since it hides all your ends and keeps them from breaking. It will make you look classy and elegant, which makes it a great choice for formal events. To create a sophisticated look, you can always go with the ballerina bun, but this hairstyle might prove to be more interesting. It’s done by simply twisting the hair around its base, but in a way that creates a polished appearance. You’ll definitely have to use hair products, but your ends will be nowhere near the surface. For a more daring look, you might want to go with this hairstyle. The hair has been arranged into a neat low bun, and the front styled to appear extra polished. This creates a sleek style that’s perfect for a formal dinner. 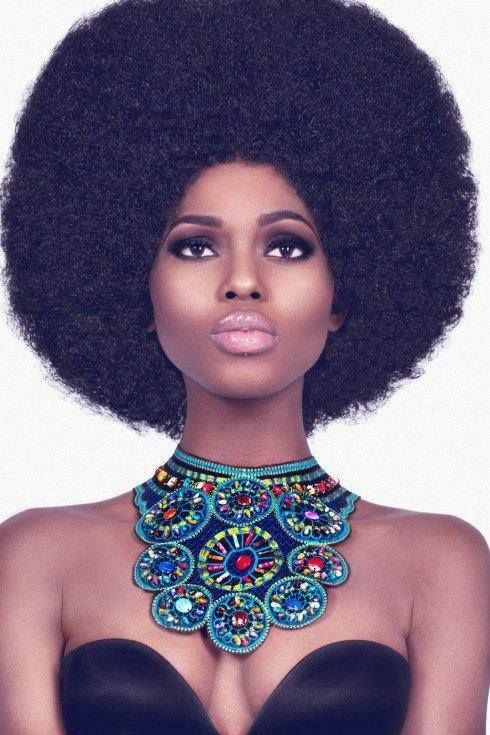 Afro hairstyles are no longer considered to be old-fashioned, especially when worn right. If you combine it with a daring outfit or chic accessories, you’ll look both gorgeous and trendy. This half updo has been made even better by earth toned highlights. The combination looks simply stunning, but will also keep longer hair from getting damaged in the long run. 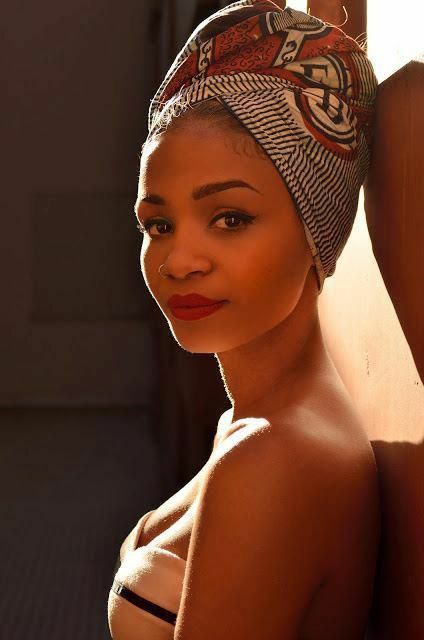 If you’ve already tried everything else, and are now in search for something new, you might want to forget about updos, coils and twists, and simply wrap your hair in a colorful scarf! Freshening up a super-long hairstyle can be a challenging task, but that’s not something a new shade of hair color couldn’t solve! 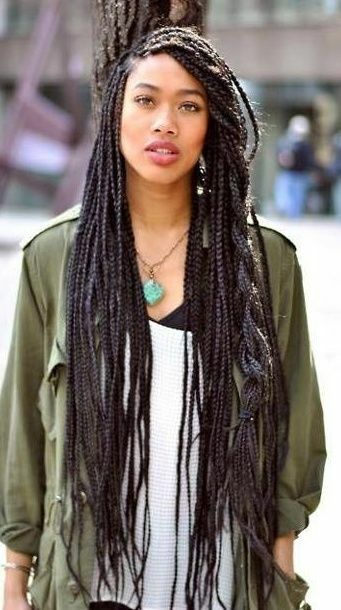 After all, don’t braids look much lovelier when they’re died in interesting tones? To protect the ends of your hair from getting damaged, you might want to consider dreading it. Apart from keeping your hair strong, this will also prove to be a very interesting new look! What could be more unique than dreadlocks arranged into a vintage updo? 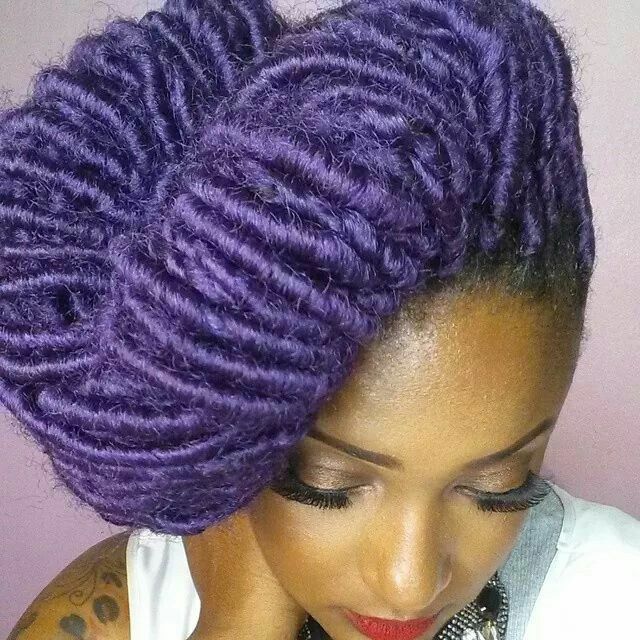 Brightly colored dreadlocks arranged into a vintage updo, for sure! 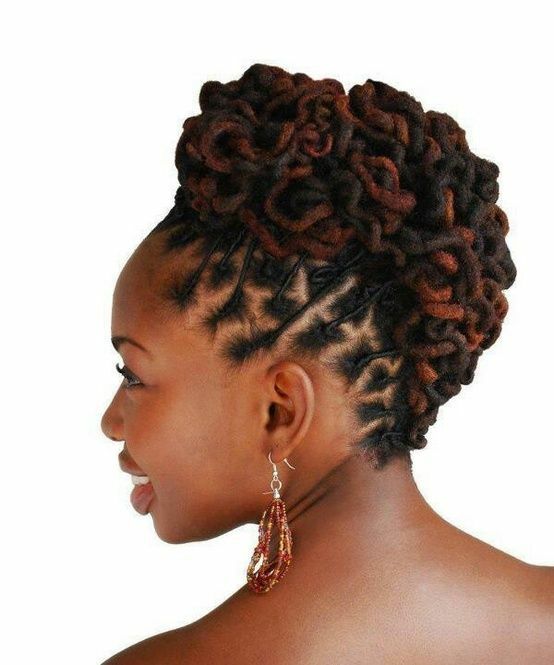 If you’re looking for a protective hairstyle that can also be worn on formal occasions, don’t cross out dreadlocking it yet! 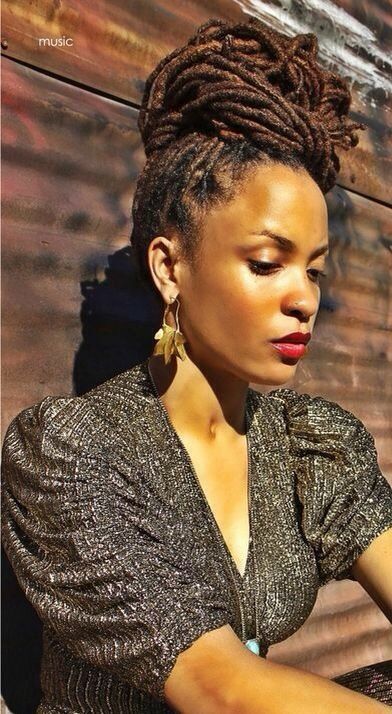 Dreadlocks can be arranged into elegant buns, just like braids and twists can! To keep your hair strong and make it look lovely, you can always dread it and tie it into a cute ponytail. This hairstyle is easy to do, as well as appropriate for many occasions. As you can see from the long list above, there’s no reason why you shouldn’t have both healthy hair and a lovely hairstyle. So pick the one you like the most and start a whole new look!